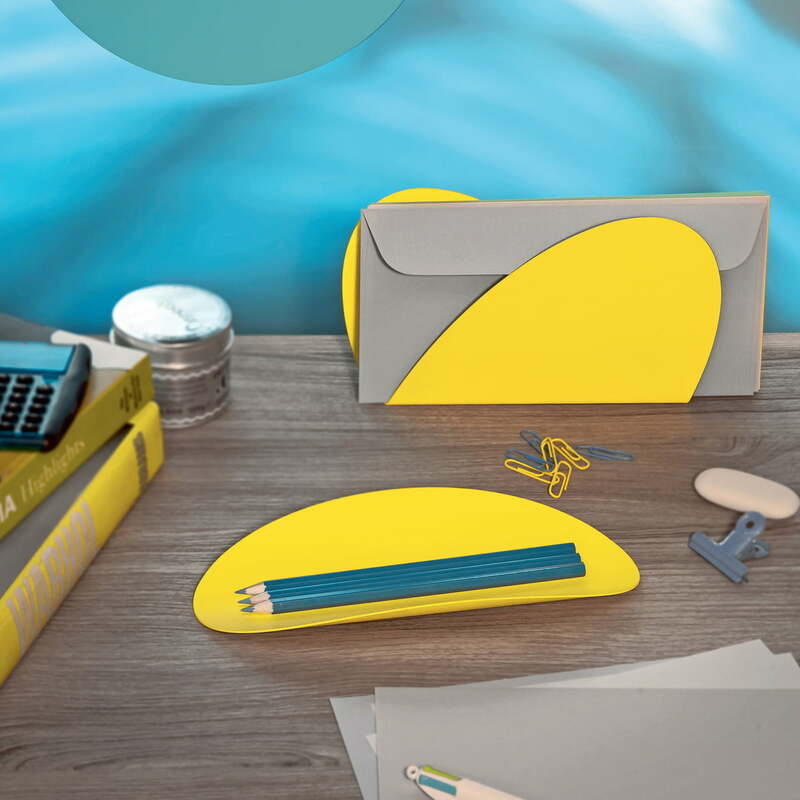 The Ellipse desk set by Alessi is part of the eponymous collection designed by Abi Alice. The designer created a small container series, consisting of a tray and a letter holder, which has the harmonious geometrical shape of an ellipse. The set - available in different colours - is suitable for different areas thanks to the essential and minimalist design. 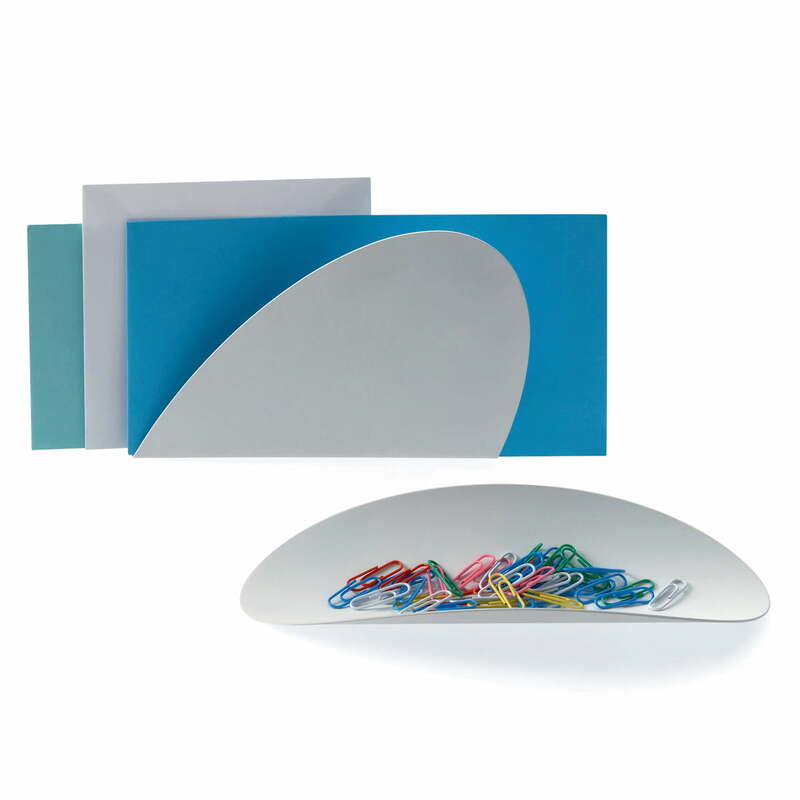 Pens, paper clips, letters, postcards and other office equipment can be stored and collected in a stylish way on the Ellipse desk set in the office or living room. 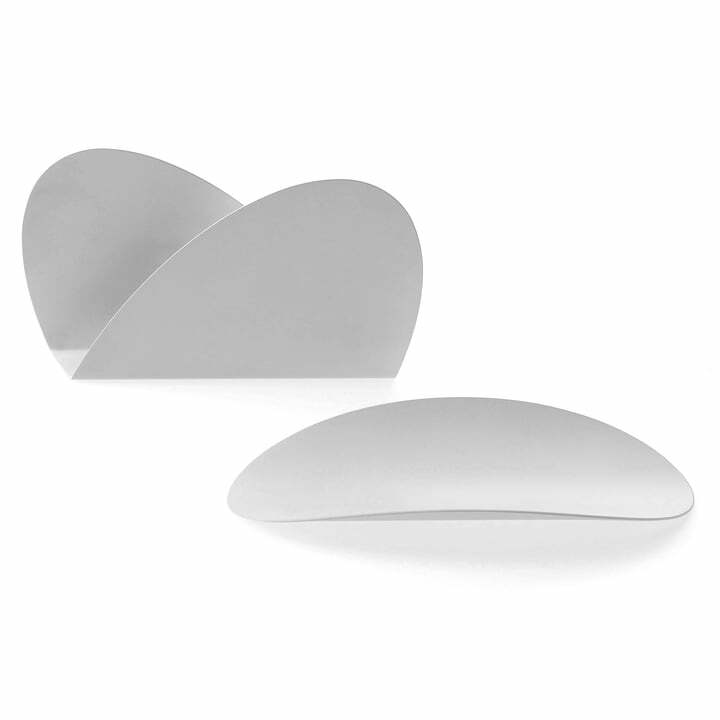 Individual product image of the Ellipse Desk Set by the Italian company Alessi in white. The set consists of one pen tray and one letter holder of epoxy resin varnished steel. The designer Abi Alice created a small container series for Alessi which consists of a tray and a letter holder that has the harmonious geometrical shape of an ellipse. Thanks to its essential and minimalist design, the desk set can be flexibly used in various surroundings: in the office as well as in the living room.